‘Macadelic’ is maturity in motion. Mac Miller’s career resembles a perfectly-made play. 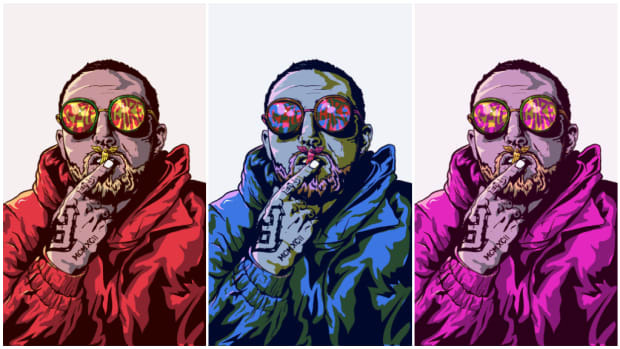 With its three acts—marked by K.I.D.S., Macadelic, and The Divine Feminine—for as prolific as Mac was with his creation and output, there are distinct growth points and pivots that denote his constant evolution as an artist. The speed at which these vast changes took place, too, is admirable, but not surprising when we recall that all of his collaborators remember him as obsessed with the creative process. If you make enough, if you challenge yourself enough, surely you will grow. In celebration of its seventh anniversary, today we are talking about Mac’s second creative renaissance, kicked off by the release of 2012’s Macadelic. Only months removed from the release of Blue Slide Park, few fans saw Macadelic coming. 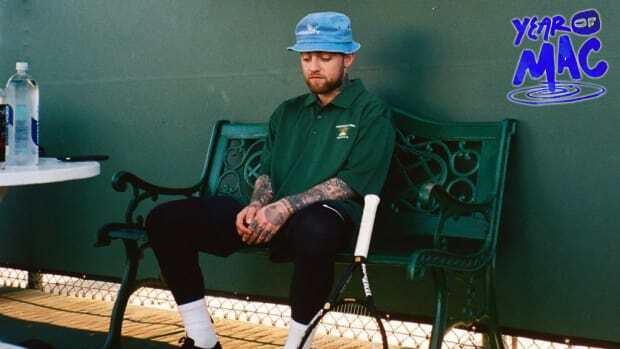 Moments like “Of The Soul” and “Diamonds & Gold” alluded to a depth of musicality, but not necessarily to the budding darkness and introspection Mac Miller was evidently capable of. Paging further back, on Best Day Ever, we had “Down The Rabbit Hole,” which in hindsight plays like a skeleton outline of the themes (“Vitamins,” “Fight The Feeling”) and sounds that color Macadelic, and yet who would have thought that early foray into the haze of tripping and drug culture would turn into the project that established Mac Miller as Mac Miller? Where K.I.D.S. and Blue Slide Park proved Mac to be a commercial success, it was not until Macadelic that we saw Mac prove himself to be an artistic force. 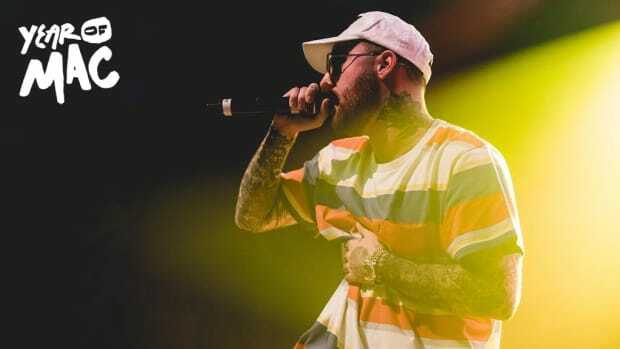 The Mac Miller we cherish today is born directly out of the experimentation and left-field approach Mac took on Macadelic. Make no mistake, the risk to release this project was weighty, but clearly very much so worth the gamble. This is why the album opens with “Love Me As I Have Loved You,” with the notion of an impossible emotion and love. 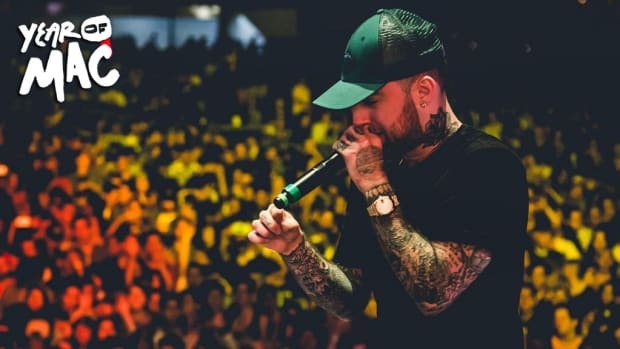 Mac is asking the audience to believe in him as he believes in them, and hopefully, out of that symbiosis they will take to this new music and see this is the artistic direction he was always meant to take. “I think he was kind of musically past Blue Slide Park when it came out, in his own mind and in his studio. He was making these records that would later become Macadelic… At the time, I felt like he was making a left turn way too quickly. He had this sort of thing that was really working and was growing and growing and growing, and as a manager and someone looking after his career, we bumped heads a little bit. I said, ‘Look, these songs are super dope, but I think you’re coming too quickly after Blue Slide Park with a totally different sound. People are still getting to know you, and you’re really throwing a curveball.’ For him, though, it was really important. He was like, ‘Forget any sort of music industry timing. This is how I feel. 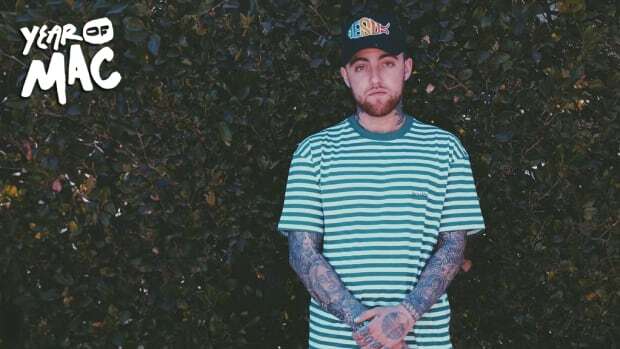 This is the music that I’m making.’ The people that got it, really took that ride with him.” —"Rostrum’s Benjy Grinberg Remembers Mac Miller"
As Grinberg explains, that ride and that trust are really the crux of Macadelic’s importance in the Mac Miller discography. So many fans and critics alike look at Mac’s music and declare they grew up with him, and without Macadelic, there would be no growing up. 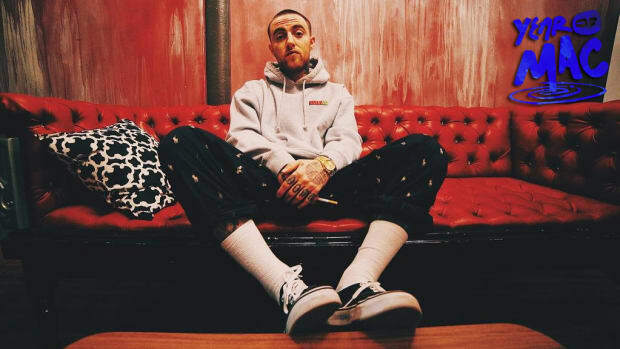 On the heels of Blue Slide Park, Malcolm became a matured creative, and his desire to share that with the world opened him up to a slew of fans who wanted exactly that: an artist who would share and take this knotty journey with them. The good news is, Macadelic still sounds fantastic. 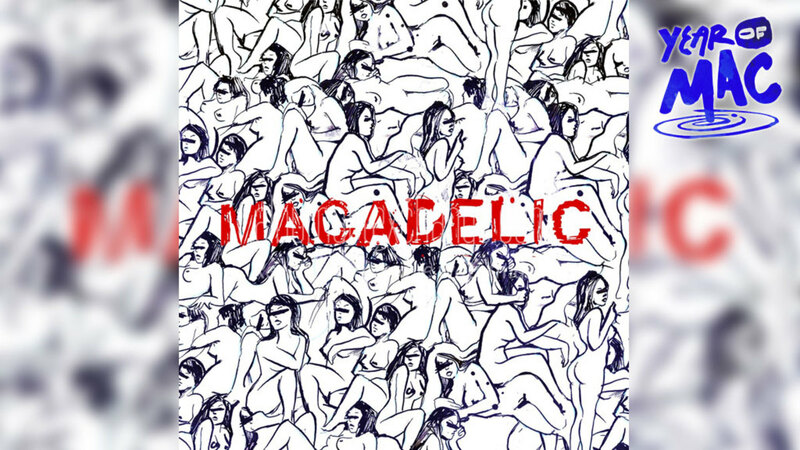 At the time, Macadelic was Mac’s most detail-oriented project. From the sampling of French women speaking to the subtle clinks of ice on “1 Threw 8,” to the vast and sprawling horizon-like production on “Thoughts From A Balcony,” you can hear the twinkle of the midnight stars in the keys layered in the back of the mix, and the thick clouds mimicked by rich and drifting chords. Mac made sure the contemplative tones were treated to equally pensive and moving production. Yet, Mac still knew how to have fun, a la K.I.D.S.. The twinkle of “Thoughts From A Balcony” transforms into a mechanical tick on “Aliens Fighting Robots,” and “Loud” along with “Ignorant” are time-bomb bangers. Let’s not forget the smoked-up and jazzy feel of “America,” either. Mac always had range, but there’s a lucidity to his versatility on Macadelic that makes the album come across as more varied. There’s a purity to this pivot, and to each sub-pivot on the mixtape. Every new note feels like an honest venture to push Mac Miller’s creative limits, and thankfully, he never lets up. Better yet, Macadelic is the first time Mac Miller pursued making truly affecting music. Years later, and “Clarity” remains one of the best love songs Mac Miller has ever written. His themes are still ever-so juvenile, but they are close, as in the haze of “The Mourning After” dripping into “1 Threw 8,” where Mac muses on his mortality. Of course, the lyrics are more potent in the wake of his passing, but it would be disingenuous to solely appraise his discography through the lens of his death. 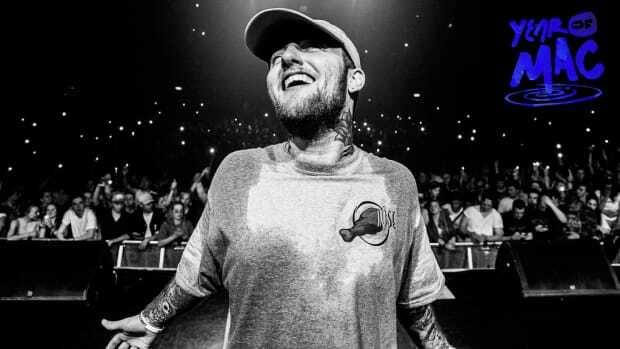 At the time of making “1 Threw 8,” at the time of Swimming, even, Mac Miller was roused and excited about life and his future. Though we did not know the depth of his drug-induced music at the time, his allusions to pills and lean and the avant-garde images that came from his drug experiments were the building blocks to his series of growth spurts (Watching Movies With the Sound Off, Faces, and going sober on GO:OD AM). 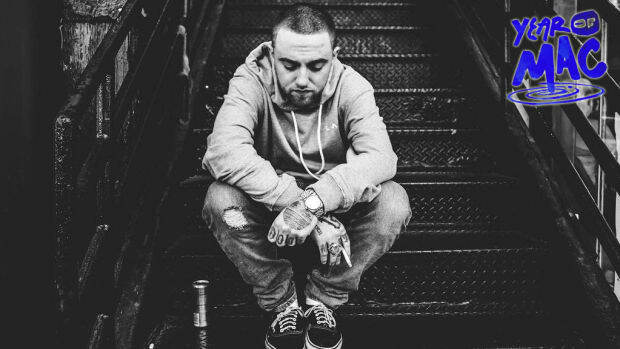 On Macadelic, Mac finds comfort in searching for meaning in his most present darkness. He chooses to feel through everything. That choice leads him to produce his opus just two years later (Faces) and brings him still closer to his fans. Mac’s obsession with hurt and immediacy, with the ever-rising potential of his death, first took root on this tape, and we took root with him. Perhaps that is why Macadelic is so, so striking in the context of Mac’s discography because we have gone from blindly loving life to asking the difficult questions life unearths from us all. It’s his willingness to ask those questions and his resilience in the face of getting no answers that make Mac Miller so endearing. Mac Miller was Reborn on "Inertia"
“Inertia” is our past darkness, and is our foray into the rebirth of Mac Miller. Spare a moment for jazz with Larry Lovestein and The Velvet Revival? ‘Blue Slide Park’ is an ode to youth, but also a cautionary tale. Sadly, I was not allowed to make every Mac Miller love song his best love song. Who Else Was Mac Miller?